This 38 Special +P cartridge by Blazer features a heat treated aircraft grade aluminum casing. Aluminum is a lot less expensive to produce than brass, a fact you’ll see soundly reflected in this round’s price tag. 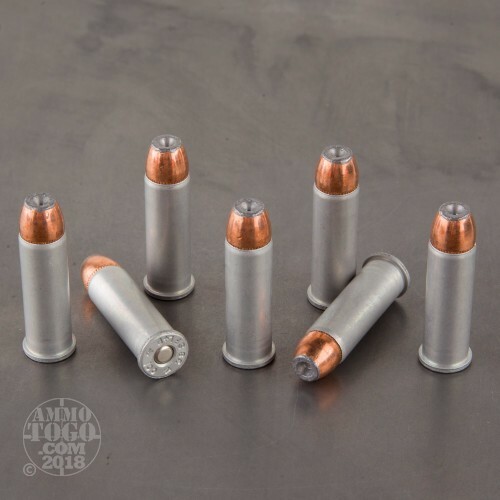 It’s only one third as dense as brass as well, a nice quirk that you may notice after you’ve filled up your everyday carry’s magazine. Note that aluminum’s key shortcoming is that you can’t reload it, but that’s of little concern to shooters who don’t reload anyway. 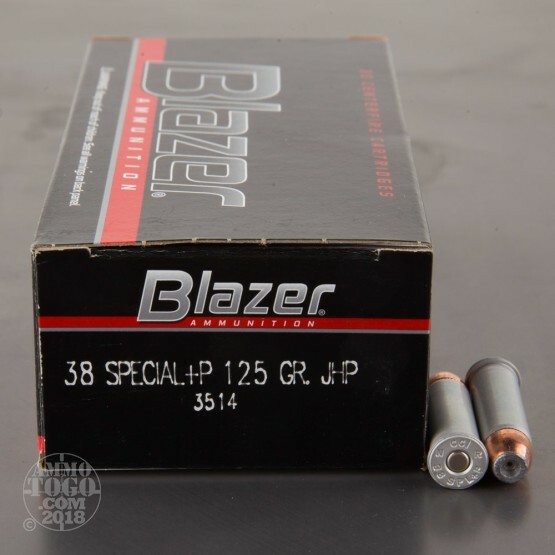 This round is capped off with a 125 grain JHP projectile. That’s a lighter bullet for its caliber, and accordingly one that flies nice and fast. 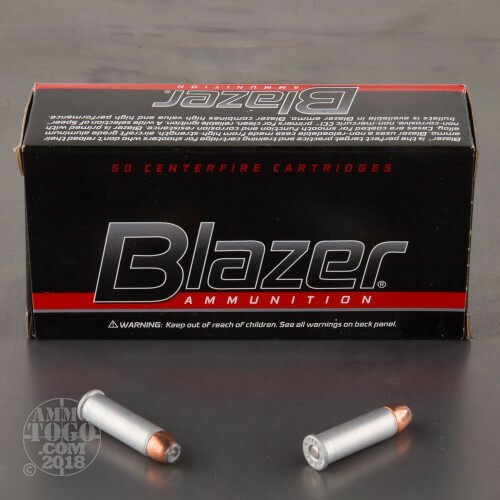 Its speed helps this bullet’s hollow point cause devastating expansion during penetration, making it a fine choice for personal protection. 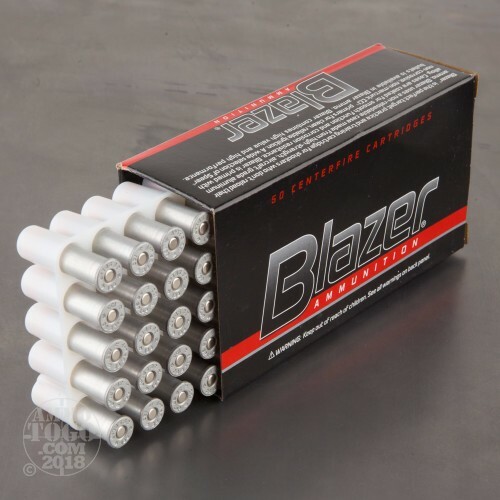 This bullet’s expansion is controlled somewhat by its jacket, which further assures reliable penetration and prevents a pistol’s bore from quickly muddying up with lead residue.